Curious about the benefits of solar energy for your home? Learn how it benefits your energy bills and the environment with one FREE call to Connect Your Power. 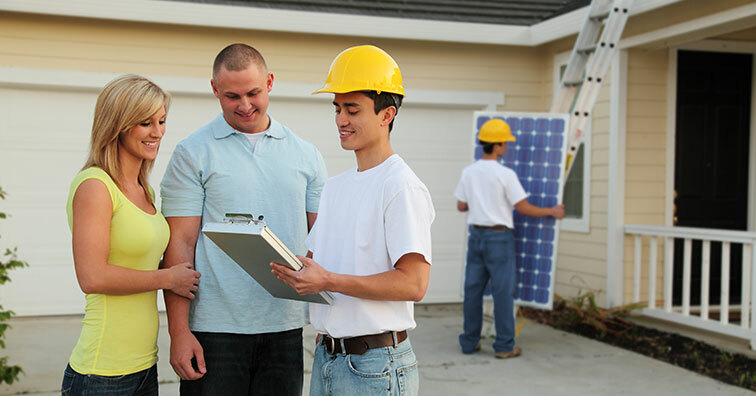 Our solar specialists will quickly assess your home’s suitability for solar panels and walk you through your options to find the best deal for you. Get on the path to cleaner energy today with a FREE solar energy quote from Connect Your Power! Why choose Connect Your Power to make the switch to solar energy? Your home’s suitability for solar power depends on several factors, including geographic location, the direction your home faces, and your home’s structure. The only way to learn whether solar energy is right for your home to get a professional assessment. The free assessment is a quick process and will answer all of your questions in no time. Ready to learn more? Call us today and we’ll instantly connect you with a solar energy specialist!